Cannabis Producers, RavenQuest BioMed Inc.
CEOCFO: Mr. Robinson, what is the plan and focus for RavenQuest today? Mr. Robinson: RavenQuest takes a four-pillar approach to our business. We work with indigenous people in Canada and the Canadian government has committed to UNDRIP, the United Nations Declaration on the Rights of Indigenous People, which allows them to participate in every major economy in Canada and cannabis is one of those. Pillar two is our work on research development in the science of the plant. That is a landmark study with McGill University. Pillar three is our consulting and management services division that helps clients operate their facilities. We help design their facilities and if they are in trouble, help get them back into compliance. We develop Health Canada license applications and post follow up when they have their license in place. Last, we have an acquisition arm that builds and invests into cannabis facilities that are growing cannabis and then we will extract cannabis into derived products. Our four-pillar approach is Indigenous peoples, our scientific design on plants, management services and our investment and acquisition division. CEOCFO: How did your strategy develop? Mr. Robinson: The idea comes from the fact that I worked for two very large multinational companies and in those companies, we learned how to build business models that had multiple revenue streams come in that would help alleviate times when certain parts of the revenue stream may be under pressure such as commoditization or a black swan event. I needed multiple revenue streams. For example, on the management services side, we manufacture our own growing technology, we represent products from around the world that get sold into cannabis production companies, and then the management services, the peer consultant side is there. Largely when we started to build the business model, we wanted to have the four pillars be able to operate independently, but when you take away those four pillars, they become integrated and mutually beneficial horizontally across each pillar. The revenue model was built to provide early revenue, a unique feature in a startup, and being able to use the consulting services as an unfair advantage in our own production facilities. CEOCFO: What do you understand about the industry that others do not and what do you see as some of the biggest misunderstandings about the industry? Mr. Robinson: I have been around the consulting side in regulated spaces for many years but specifically my own consulting company for the last eight years. Working in regulated sectors, you understand the regulator, the regulation, and you start to understand how to interpret what a regulator wants. In the cannabis space, being able to help with anything from facility design to technologies and growing strategies to security requirements and compliance is a plus. I think that is what is different about a CEO like myself is I have actually lived and breathed the consulting world, working with many clients in the space and helping them make their businesses better. Number two is that I have really developed a love for the plant and that may not be different from anyone else out there but I truly strive to understand the plant, what the secondary metabolites are and how the chemovar of the plant is effected by room temperatures, I have and continue to do a deep dive into the science of the plant and how to make the plant extremely stable in an indoor growing environment. CEOCFO: Would you tell me about the revolutionary technology? Mr. Robinson: Once we started to understand and see challenges with traditional growing styles whether it is an indoor or greenhouse environment, we started to look at getting into what we call rotational gardening, although we call our garden an Orbital Garden. This allows us to create an environment where the plant is very close to the light source, essentially in a drum, laid sideways. What happens is for their evening cycle, the plants rotate around the light source, either twelve hours on a light or eighteen hours of light on. This minimizes the stratification of temperature within a growing environment and allowing the plant and the chemovar of the plant to be very stable through the whole eight-week growth cycle. Second, we have created an environment where we can use the cubic footage of the room rather than the square footage of the room by stacking these gardens three high and two wide and putting multiples of these clusters within single room environments. Thirdly, we decided to create a system where we have required very little attention to the plant, meaning humans going into the room. We know from experiences and working with clients on the management services side that sometimes your biggest stress and threat to the plant actually comes from a human coming into the room and bringing in powdery mildew, mites or other pathogens on their skin. We have tried to create an environment where the plants can be very happy, orbiting around the light tube and stabilizing the temperature for themselves, creating an environment where they can thrive without a whole bunch of human interaction. CEOCFO: Are you using the technologies for yourselves or licensing it? What are your plans? Mr. Robinson: Our plans for the Orbital Gardens are to provide them to anyone of our clients that we have worked with. We are not a garden seller. When we bring it to our clients, that typically means some level of equity, royalty or off-take arrangement that we receive as consideration for use of the gardens. We really want to partner with our clients that use the gardens because I think there is much more to the growing technology than just the garden itself. It is the room, how the room is developed, and the climate control system. Essentially our clients get to use it and usually there is an equity position or we have an off-take or royalty. CEOCFO: What do you look for in the companies you work with? Mr. Robinson: The first thing we do in the vetting process is making sure that the executive leadership team is focused on the regulation, knowing that if you take care of your inputs of your business, the output, the dollar side will take care of itself. We have found that there have been a few clients that have come to us and we have just had to say no. Sometimes they are in it just purely for the money and do not understand the regulator�s viewpoint. If that type of leader cannot see the world through the regulator�s lens, we understand that they will fail and try to use what we have termed as creative entrepreneurialism to skirt the rulebook. We do not want to skirt the rulebook. It is a privilege and a compliment to get a license and we want to make sure that the leadership teams understand that value and that you need to play by the rulebook long term. Second, we want to make sure potential clients are willing to roll up their sleeves and actually get in there working around the plant material and being part of the team. Everyone has to be focused on the plant health. If we achieve optimal plant health, we can create a great product and a great product means really happy end users. CEOCFO: Can you tell pretty quickly? Mr. Robinson: We can. We have a very detailed qualifying process that we go through which is a question and answer type thing, more of a dialogue. Usually within about the first twenty minutes, we get a really great sense of what they understand, the environment they are going into, if they have had any regulatory experience in their past. If nobody on their team has any of that and all they are talking about is the mass of profits they can make, we can figure that out in about twenty minutes. We have had over three hundred and fifty applicants wanting to work with us. We are very happy that we have selected sixty-two that we are working with and all of those have passed the qualification process and we are really excited to work with them. CEOCFO: Would you explain how you are partnering with indigenous peoples? Mr. Robinson: Partnering with Indigenous peoples is really important. We took on an early understanding of where Indigenous peoples might need to play within the cannabis space. First off, we understood that there are histories around plant-based materials that they have used to improve health and solve medical issues. We knew right away that they all had some sort of shaman or medicine person that was there and we knew they understood plant material and how to work with it. Number two, we know here in Canada for sure that there is usually limited economic opportunity that is on the reserve, which means that most First Nations or Indigenous people have to leave the reserve to find work and we know from a social impact perspective that if they as Indigenous people can work on their own land, they have this great opportunity to be very motivated because they get up out of their homes, head off to work on their own land and then come back and work amongst themselves in their own community. We started to look at that and then looked at the platform of Justin Trudeau and the Liberal Party of Canada and saw that he had two main focuses, which were the legalization of cannabis and assisting the Indigenous people to create better places to live on the reserve, create better outcomes for themselves. We married the two together and in October of 2015, we made our first step into working with Indigenous people and we are very proud to have several clients in the space now. CEOCFO: Rave Quest BioMed recently started trading on the OTC bulletin board. How has that changed your company? Mr. Robinson: It�s clear from the incoming communications we receive that there are a lot of people in the United States who really want to be involved in the Canadian cannabis space. They see us as a nation leading the way with the Gold Standard in proper regulation, with a policy driven approach to the introduction of medicine and recreational use. This doesn�t exist on a federal level in the US. American investors really want to invest, but more importantly, they want to invest with a brokerage firm that is home to them rather than creating accounts up here in Canada. It has opened us up to a brand new set of eyes watching our company and has made investing into RavenQuest accessible to the American retail investor. In addition, listing in the US has provide us the opportunity to tell our story to people who really want to understand the cannabis space better and to participate in a fully federally regulated and legal environment, that being Canada. CEOCFO: Do people understand the difference between a quality cannabis company and people who are jumping in because it is assumed to be the latest, best way to make a fortune? Mr. Robinson: I think it is up to us to make sure we can put in front of them what a real company looks like versus maybe those who are building an image of a company and then cannot execute. I think it�s a little harder for people to peel through multiple layers of the onion in the cannabis space and determine that largely, this is an emerging market; we do not have standard measurements and metrics commonly used other industries such as oil, gold, copper and other commodities, so it is really up to us educate and help share key success factors for cannabis companies. I do believe some investors risk getting caught up in the story of the day. I believe that, over time, it is those companies who have a solid story, a real plan and deliver quarterly that will persevere and thrive. RavenQuest BioMed is looking for the investor who is very interested in being a part of a real company. CEOCFO: What is the key to having fingers in a lot of pies and giving them all the attention they deserve? 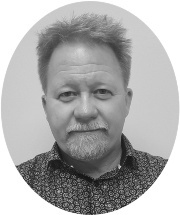 Mr. Robinson: Having led key business segments of Fortune 100 or Fortune 500 companies, I�ve been exposed to business modeling, development and tools that I utilized to manage many complex aspects of those business segments. I am very lucky that I am Six Sigma Certified, Kaizen Certified and Means Certified. Essentially as we build our businesses up -- we talked earlier about our four pillars -- we put people in front of each pillar, people who understand their pillar but understand how the other pillars intersected. We making sure they understand and work and develop their pillar out. RavenQuest is very lucky that we have individuals that lead each pillar and then we have a discussion and recording metric that allows me to understand the levers, when to pull the levers based on our internal reporting metrics, ie. if you need to move quicker in this area versus other areas. For me, I simply examine what each team member does from an input perspective to see how it is affecting the output of the company and know where to move the levers if necessary. This comes from my days in the past working with several very large companies. That was what you were taught; that you need to be a part of the company but you do not need to know every single small detail, you just have to have a reporting metric that gives you a good sense of where their particular pillar is going and then jump on that, and if there seems to be something that is not moving in the right direction, ask a few additional questions, give your people all the help necessary to get them going in the right direction, or if you want to build a development, ask them all the right questions so we can supply all the resources so they can continue to build upon a really great story within their pillar. CEOCFO: What is next for RavenQuest? Mr. Robinson: We are a very careful company. For example, we do not go out and talk about branding on the legalization side of the adult use market. We do not want to get in front of the regulators or the provinces, municipal governments or the federal government. Once we see the federal government�s new regulation on legalization firm up here in the next two or three weeks, we see the regulation firm up over the next ten to twelve weeks and we are very lucky that only then will we reveal our very attractive branding to the world. We will roll out our go to market strategy as RavenQuest is about to come to market in both the medicinal side and the retail side. We are very excited about this and we think our investor should be, too. Second, as of yesterday, which was Thursday, June 14th, we introduced our new offering, which is partnering with the small craft growers in Canada, providing them a way to come out of the black market and bringing them into the legal market with a whole bunch of support from our management services side. This allows them to come in from the shadows and find a way to get themselves operating under the guidelines of Health Canada. Our first announcement on this front was yesterday and we really look forward to building that part of our business over the very near term. Each of these craft growers probably probably produces somewhere around 350-500 kilograms a year, but what�s really exciting is that these craft growers make an absolutely wonderful, premium product. As we partner with new craft growers, we anticipate a whole suite of boutique brands that we get to bring to market using RavenQuest�s relationships with the provinces that are looking for supply agreements. It�s a win-win because the provinces get more product to fill their shelves as necessary but, more importantly, here are these really cool boutique brands that are going to be unique and drive customers to their retail outlets where the adult recreational use cannabis will be sold. Those are just a couple of exciting and really important things to look forward to in the near term. Looking a little further out, RavenQuest has a keen eye on expanding into the international markets. At this time until the US is federally legal, we will wait to enter the US, so Americans will have to wait to enjoy our premium offerings.